Sculptor Mehmet Aksoy may have scored a victory earlier this year, when Turkish President Recep Tayyip Erdoğan was fined about $3,800 for calling his unfinished “Monument to Humanity” a “monstrosity,” but now the artist is facing 56 months in prison for insulting the leader. 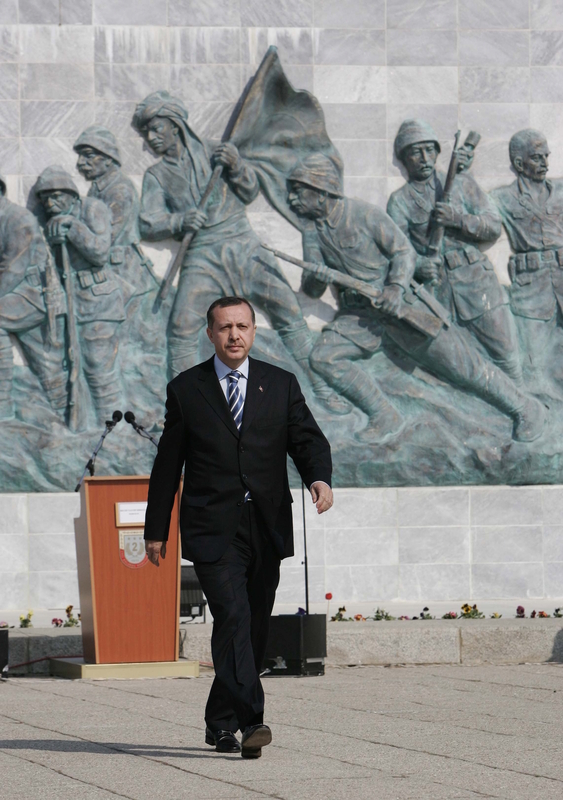 According to the AFP, prosecutors claim Aksoy insinuated that Erdoğan’s and his closest associates’ earnings were illegal when, in response to a question about how he’d spend the $3,800, the artist said: “I would never make a sculpture with dirty money.” The artist denies that the statement was intended to imply any wrongdoing on the president’s part. Though the dispute between the artist and president is bound up in their public statements, it also stems from Erdoğan’s persistent denial of the Armenian Genocide of 1915. Aksoy’s monument was commissioned in 2009 by Naif Alibeyoglu, who at the time was the mayor of Kars, a city in far eastern Turkey near the Armenian border. The 115-foot-tall work was intended to symbolize friendship between Turks and Armenians, with one of the towering figures extending an open hand toward Armenia. The project was dealt a fatal blow when Erdoğan visited Kars in 2011. “They put a monstrosity there, next to the tomb of (scholar) Hasan Harakani,” the president said at the time, referring to an 11th-century shrine near Aksoy’s monument. “It is impossible to think that such a thing should exist next to a true work of art.” Following those comments the municipality, no longer under the direction of Alibeyoglu, rushed to demolish the monument. Though Aksoy would eventually succeed in having Erdoğan fined for publicly insulting him, he has not been able to get the work rebuilt and now risks over four and a half years in prison. Though unfortunate, such petty and despotic behavior is perfectly consistent coming from a country that has a tendency to imprison journalists.